Guaranteed to make your drums sound exactly like this. Well sort of. Maybe probably not. Alright kids, this little tip may or may not completely change your world; but I know it rocked mine when I first started using it! 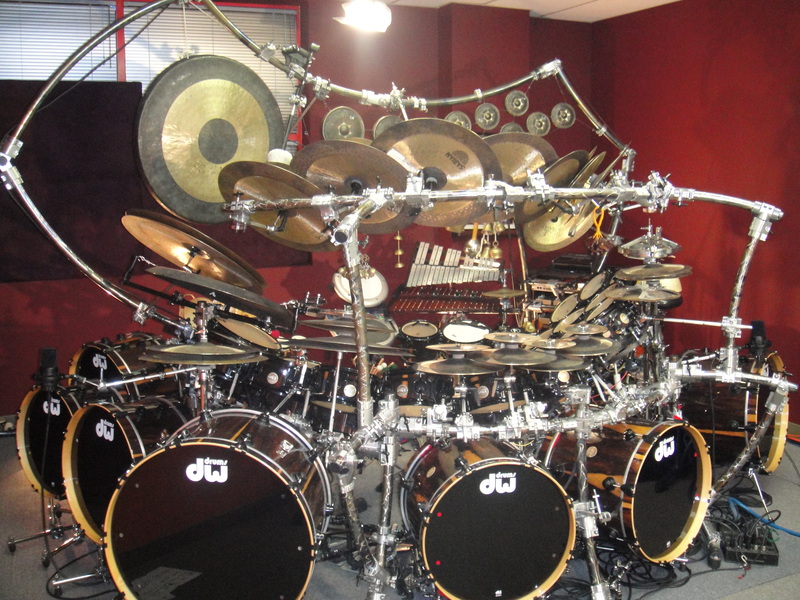 So you want a big, meaty room sound on your kick and/or snare…but those wash-y cymbals make it tough, right? Fear no more! Trigger a clean kick and/or snare ROOM sample for instant kick/snare massive-ness-iness. The joy of this tip is just how simple it is. Get you clean (no cymbal wash) kick room or snare room sample. Trigger it with every hit. Instant size. Don’t forget to check your newly imported samples for phase issues! The room samples are used sparingly in this example, but enough to give that kick and snare a bit more oomph. You can, of course, go nuts with this and make huge room sounds. It doesn’t work for all situations, but if you need big rock drums for a big rock song…this trick will definitely add some piz-azz to your drums. If you don’t have a readily accessible kick/snare room sample, get creative with it. Find somewhere in the recording where the drummer hits the kick or snare by itself without cymbals. Grab that and sample away. Now go make those drums HUGE!